GHOSTED: L-R: Adam Scott and Craig Robinson in GHOSTED premiering this fall on FOX. 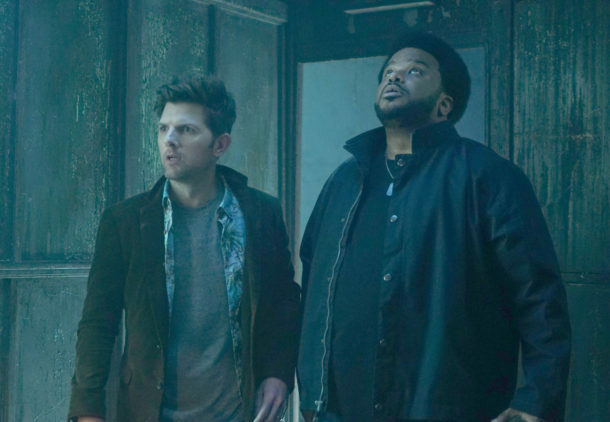 Adam Scott and Craig Robinson star in the all-new FOX series, Ghosted. GHOSTED is a single-camera, action-comedy about the partnership between two polar opposites – a cynical skeptic and a genius “true believer” in the paranormal – who are recruited to investigate unexplained phenomena in Los Angeles – all while uncovering a larger mystery that could threaten the existence of the human race.